The Britz family prefers to describe Under Oaks as “a place where everything is perfectly imperfect”! This is a family business and corporate is not part of the furniture. Here things are done slowly and in the old-fashioned way. We love to engage with our guests who often return as friends. Ansela van Bengale was one of 11 slaves that arrived in the Cape between 1652 – 1657. She was originally from North East India but had been exiled to Batavia. Ship Captain, Pieter Kemp, sold her to Jan Van Riebeeck – for whom she worked as a domestic worker. In 1662 when he left the Cape, he sold her to Abraham Gebbema. In 1666 Ansela and her 3 children were of the first slaves set free. In 1667 she became the second woman in eight years to receive a plot in Tafelvalley. Ansela and her son, Pieter, were christened in 1668. Her daughter, Anna de Koningh, married Oloff Bergh who was one of the wealthiest men in the Cape during that time. Amongst his properties was the farm, De Kuilen, a house in Heerengracht and the farm Groot Constantia, all of which Anna inherited. In 1668, Ansela she married Arnoldus Willem Basson. Between 1670-1695 they christened seven children and Ansela became the mother of the Basson family in South Africa. After Arnoldus died, Ansela inherited handsomely, including a farm in the Drakenstein area. In 1706 she acquired the farm Honswyk (now Under Oaks). In 2004 it was bought by the current owners. It all began one day in 2001 when the 2 friends, Hans & Bertus, came together to chat and share stories about farming, winemaking and the like. On this day, Hans asked Bertus if he would be keen to make a little wine for him. They went along and picked the grapes and Bertus then made the first wine, a hearty Cabernet Sauvignon. Theresa was casually informed about this little adventure of theirs. One day Hans walked in the door, presented her with this beautiful nectar and asked if she wouldn’t mind taking on the marketing and sales thereof. So that’s where it started. It wasn’t a plan – it simply evolved from two friends playing around with their love of wine! Should you notice, we do have a few friendly 4-legged friends who frequent our guest areas. They are quite used to humans and may even engage in a little conversation with you. If they do – you may certainly feel quite honored! 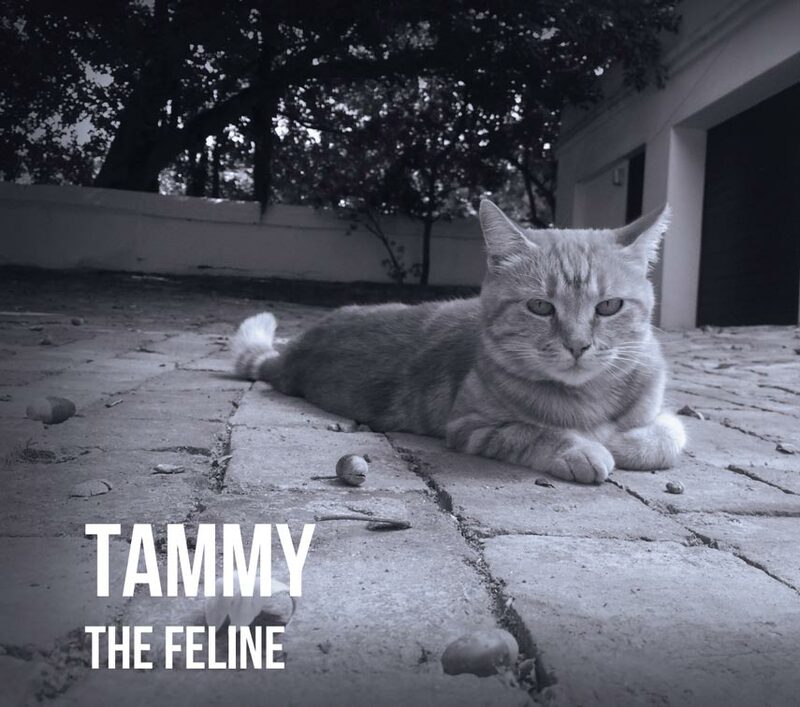 Tammy (called Tommy until “he” had an unexpected litter!) was a wild kitten who adopted the Under Oaks family when Marcelo started feeding her. (when she’s not asleep on the couch, that is). The Britz brothers were behind this one – but fortunately with mum’s blessing. 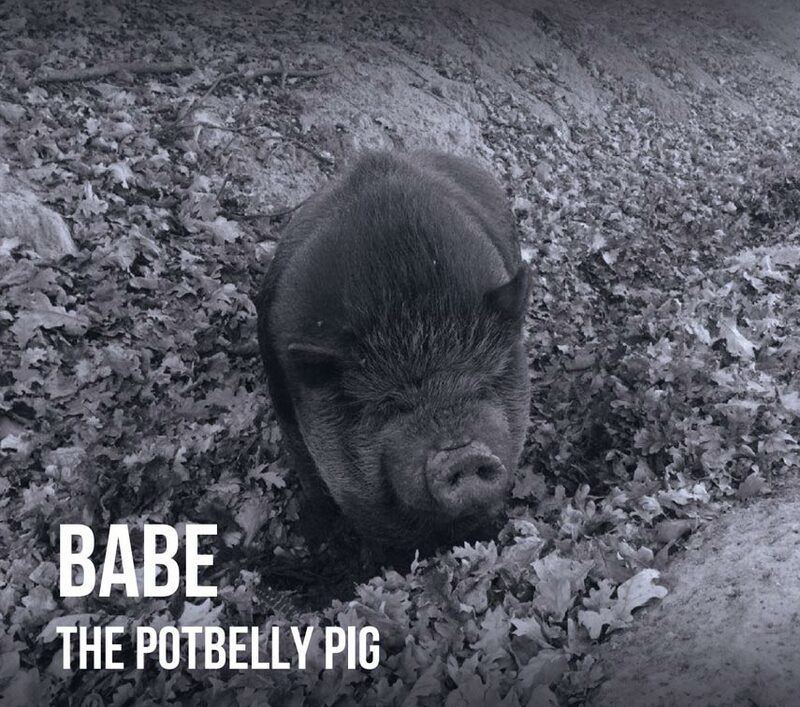 Babe was meant to be a pigmy – but turned out rather larger than life! He adores roaming the farm and, like Tammy, believes that no area is restricted to his passage. Fortunately, he prefers a cool muddy pit to the veranda furniture! He arrived as a tiny calf and made his home and marked his territory here. Loved by all for his friendly, gentle nature Bully became a “landmark” on Under Oaks, loving it when the children played with him. 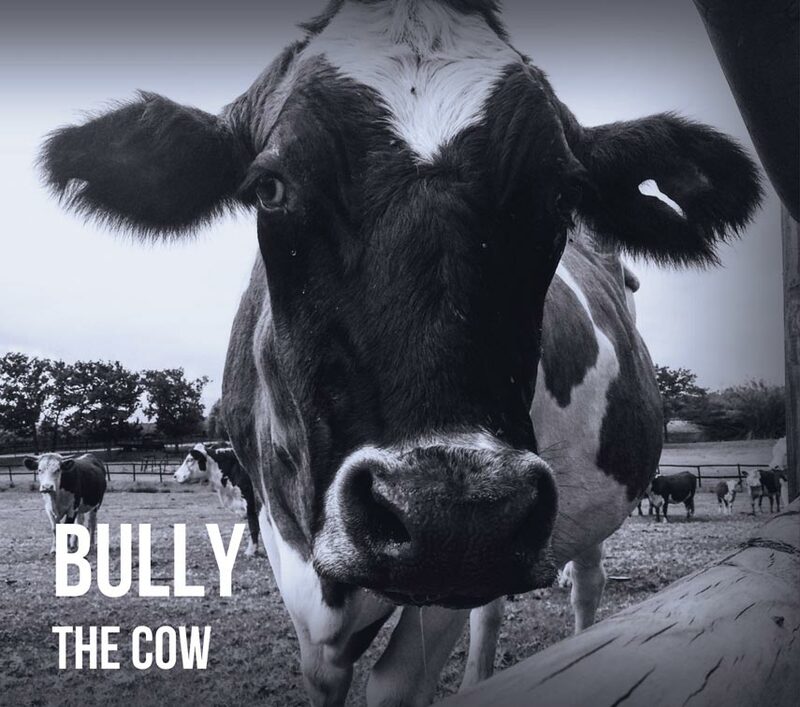 Sadly, Bully was put down in late 2016 and was buried on Under Oaks. RIP, you legend. 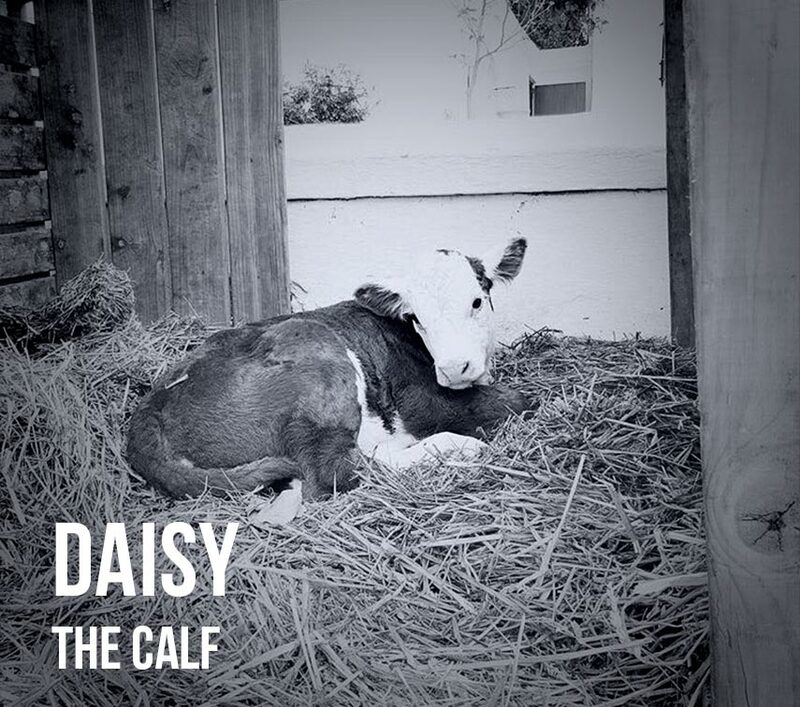 Our darling little Daisy took us quite by surprise. One look into those moo-tiful eyes was all it took for all the Under Oak’ers to lose their hearts! Her mom couldn’t feed her so our team of willing helpers quickly took over that delightful job. We don’t know of any other calf that can boast getting their breakfast in a 3L champagne bottle!